Basketball 101: Is our Fundamental Skill development program that focuses solely on the Basics for beginners. We patiently teach hand placement for dribbling and shooting. Proper footwork and movement for making shots, lay ups and passes. We also help these rookies understand how to maneuver with purpose on the court, so they can compete right away!  Skillz & Drillz: Is a Skill development program that focuses on basketball skill mastery! Athletes get the opportunity to work in groups beginner to Intermediate. Through out the year we work with athletes ages 9 - 12 teaching skills ranging from basic fundamentals like: proper shooting stance and release to combo skills that create separation and allow you to slash to the basket. Strength, Shoot & Score: As Basketball players mature, it's important that they work to build strength & power! Muscle strength builds power, allows you to be more physical, to deal with contact and be a physical player! If you don't score you cant win! This class is all about learning how to build strength, score and make plays on three key levels: At the Basket, Mid Range (free throw extended) and behind the 3pt line! We also teach the essential skill of learning how to move without the ball! Increasing the athletes basketball IQ and floor game! Shot Club is just what it sounds like.. Shot training! We use a variety of techniques and our NEW "SHOOTING GUN" to practice a ton of reps in a short time! This session builds shooting confidence, improves technique and increases shot percentage! We focus on the crucial nuances that an athlete needs to become a knock down shooter, 3 point to mid range!! For those that like to shoot the ball Shot Club will give you the essential skills to shoot better quality shots with greater results! After all you need to score to win! Tryout Preparation is training designed to help the individual athlete showcase their skills and practice the crucial aspects of the game coaches tend to look for. Every player has specific strengths and weaknesses they bring to the table. Court awareness, ball handling, defense, quickness, leadership, poise under pressure, etc. We want our athletes to be confident and boldly display their skill sets while at the same time demonstrating that they can work within the coaches scheme.